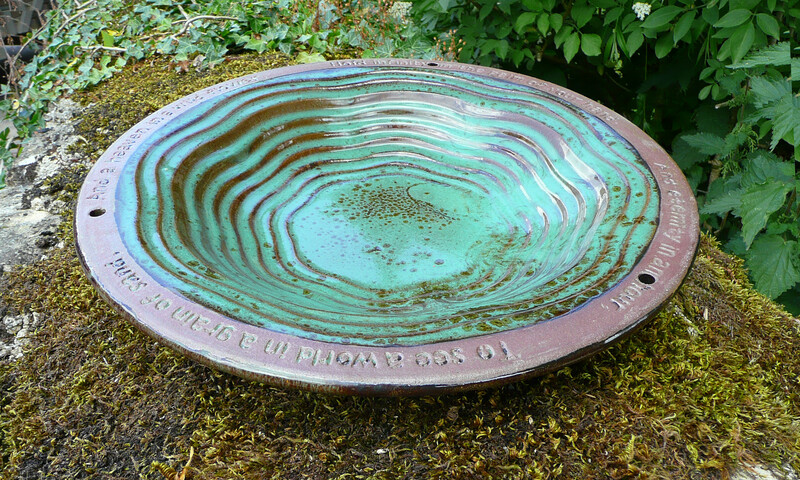 A large glazed frost-proof ceramic bird bath with a ripple effect design, featuring a quotation by William Blake along the rim. 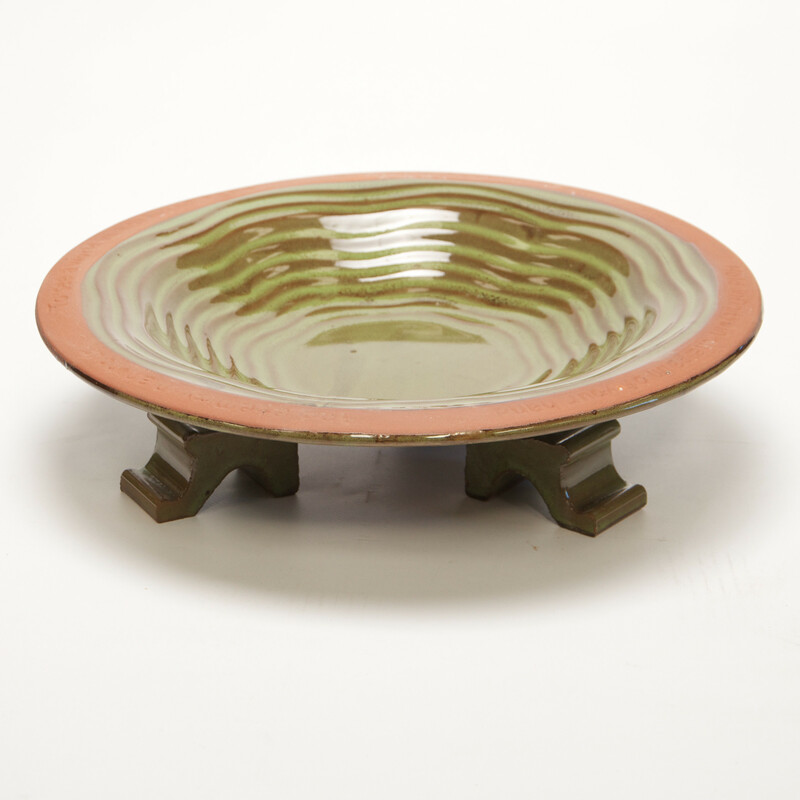 The Echoes bird bath comes with 3 glazed feet to slightly raise the bird bath above the ground. First delivery arrived scratched and chipped and replacement arrived completely broken. Suggest you review your packaging procedure and review your delivery agent!!! Please accept our apologies for the problems with your order. We are reviewing our packaging of breakable items. 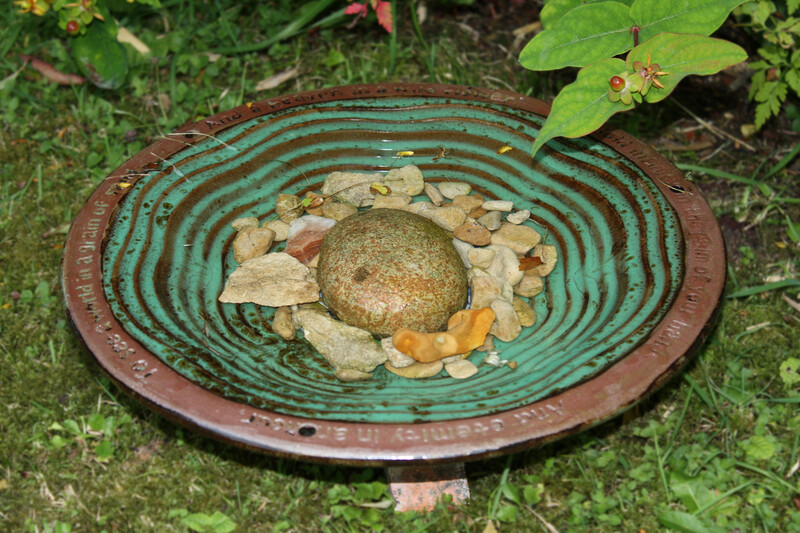 A lovely bird bath, beautifully made and the inscription round the edge is such a nice touch. 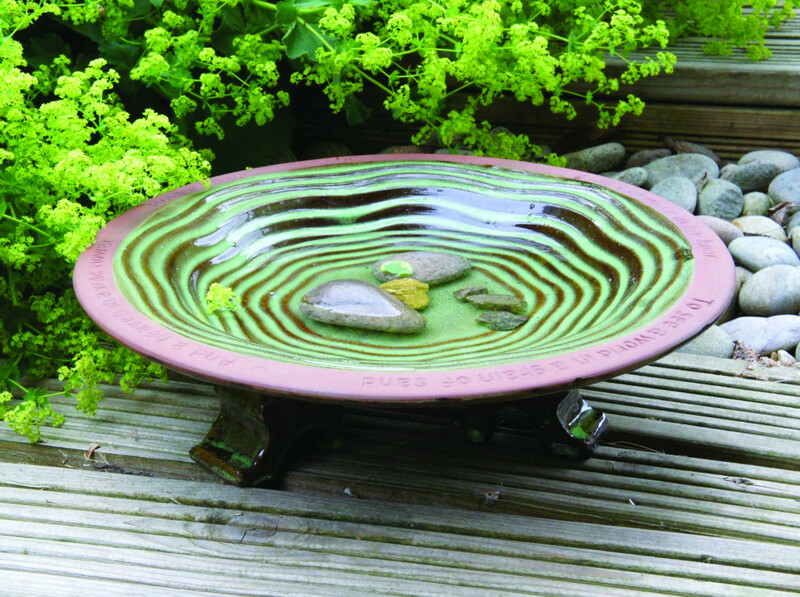 The birds love it and it sits well on the edge of a border without needing to use the feet. Thank you!